November 12, 2012 – Yerevan, Armenia – Today, on November 12, the names of the top three winning business models have been announced from the nearly 11 applicants who first submitted their business model ideas to Armenia StartUp Cup Business Model Competition in September. The award ceremony, which kicked off the first Global Entrepreneurship Week in Armenia, took place at the American University of Armenia (AUA). The winning Armenia StartUp Cup teams, TECTVM, ArmAudioBooks.com, and Innovative Greenhouse. This was the first year for the Armenia StartUp Cup, part of a growing global network of StartUp Cup Business Model Competitions. The winning team, TECTVM (pronounced “tectum”), developed and introduced a business model for goat cheese production in Armenia. “It is a fully organic product that prevents the dysbiosis and can be used during and after the treatment”, believe the team members. The 2nd place was took by ArmAudioBooks team, who developed a business model of “a complete voice talent recording studio with professional staff and tools, specializing in Audio Books, Audio Guides, and other Audio Recordings. The Innovative Greenhouse with a business model of “a unique, patent-pending technology to convert lost energy from natural gas stations into heating to grow fruits, vegetables, and roses in a year-round greenhouse environment” took the 3 rd place. Since August, the participants were developing and improving their business models. In September, the participants attended an intensive Build-A-Business workshop at AUA, led by the founders of the StartUp Cup from the United States. The 3 Winners – TECTVM, ArmAudioBooks and Innovative Greenhouse – will receive monetary prizes from the USAID funded Enterprise Development and Market Competitiveness (EDMC) Project to assist them in starting and expanding their businesses. “EDMC support is aimed at developing a competitive process that educates entrepreneurs to design a viable business model, develop relations with potential customers, and accelerate their start-up into the marketplace through a comprehensive competing and coaching process; thus transforming business-models into viable businesses and creating jobs,” says Gayane Dallakyan, EDMC’s Acting Chief of Party. Armenia StartUp Cup is co-organized by the Association of Technology Startups, USAID/EDMC Project, and the American University of Armenia, and is supported by Enterprise Incubator Foundation (EIF), UITE, Center for Entrepreneurship and Executive Development (CEED), DoIt!Lab, Deem Communications, and the School for Young Leaders. CEED will provide a customized training program to the finalists of the competition to enhance their ability to implement their ideas and successfully launch the proposed products and services. The teams will strengthen their skills in marketing, finance, and other business disciplines and will work on their business plans. The program will use elements of CEFE methodology (Competency-based Economies through the Formation of Enterprise) and will leverage CEED’s network of mentors to provide further guidance as the participants embark on the entrepreneurial journey. 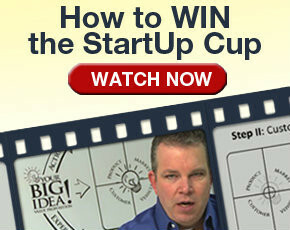 StartUp Cup is global network of a locally driven business model competitions open to any type of business idea. StartUp Cup can be replicated in any community and is a proven model to create viable businesses, grow jobs, and enhance entrepreneurial ecosystems. Visit StartUpCup.com for more information. Global Entrepreneurship Week is the world’s largest celebration of the innovators and job creators who launch startups that bring ideas to life, drive economic growth and expand human welfare. Over 100 countries joined the GEW this year. During one week each November, GEW inspires people everywhere through local, national and global activities designed to help them explore their potential as self-starters and innovators. The USAID-funded Enterprise Development and Market Competitiveness (EDMC) Project seeks to improve Armenia’s business environment and support the development of small and medium-sized enterprises (SMEs). This five-year project aims to increase employment and income in Armenia by promoting growth in select value chains that have strong export potential – information technologies and engineering services, the hospitality industry, food processing, and pharmaceuticals/biotechnologies. The American University of Armenia (AUA) is a private, independent university located in Yerevan, Armenia. Founded in 1991, AUA is affiliated with the University of California. Through teaching, research, and public service, AUA serves Armenia and the region by supplying high-quality, graduate and undergraduate education, encouraging civic engagement, and promoting democratic values.The AUA is accredited by the Accrediting Commission for Senior Colleges and Universities of the Western Association of Schools and Colleges, 985 Atlantic Avenue, #100, Alameda, CA 94501, 510-748-9001.